Recently, a trend has caught the attention of many linguists, especially those interested in sounds. This trend happens to be sound change, specifically, how it happens and why it happens. This phenomenon falls into the phonetics category of linguistics, and this makes sense given that phonetics is the study of sound production and everything that it entails. Languages have been around for thousands of years, which means that they have always been changing. Since there are so many languages (7,106 to be precise, according to daytranslations.com), this provides an endless amount of opportunities for sounds to change. While this number is up to date, there has always been uncertainty about the exact number of languages in the world, so this should be taken with a grain of salt. Sound changes in languages are not always predictable, but they are always explainable. Since this is the case, it it always interesting to compare the sound changes among languages. One example of this is the weakening of vowels and consonants. Have you ever heard someone say “boddle” instead of “bottle”? The letters t and d are produced the same ways by the mouth, so over time, the t weakened in to a d.
Have you ever thought about the silent e at the end of “name” and why it’s there if we don’t pronounce it? The e eventually weakened and stopped being used because it is simply easier to not say the e at the end of the word. Those are both situations where consonants and vowels have been weakened because of the principle of least effort, which states that if one way of something is easier to say, over time, the easier way will take over the original way. Another instance of sound changes can be found in the sound systems of languages. Some languages that have a unique sound system that includes clicks. These clicks are not decorative or expressive, they simply function like vowels and consonants do. These clicks have the potential to change a word’s meaning based on which one you use, just as tones do in other languages. Languages that have especially fascinating clicks are Khoisan and Xhosa, as these two languages use click consonants. The Nama language is extremely picky about click sounds, as one mistake could be the difference between saying very different words. The Jul’hoan language happens to use 43 clicks. Did you think 43 clicks was a lot? Well, wait until you hear about Xóõ. The Xóõ language uses 83 clicks, making it the language that uses the most clicks ever. Sound change also occurs in tonal languages. 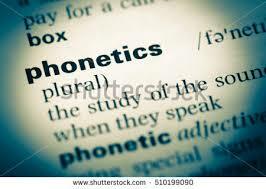 Lots of languages have tones, which means that the pitch of your voice when you say a word can change its meaning. Some languages that use tones are Mandarin, which uses four, Cantonese, which uses six and Puxian-Min, which uses seven tones. But how did tones come about? The answer to that is simple. When a language starts or is changing, people may have lots of word ideas. Those words might sound similar, and something will be needed to distinguish one word from another. Say for example that one language has three words, kah, kahs and kahk. Eventually, the s and k at the end of those two words will fade away and fall off. Something will be needed to tell kah, kah and kah apart, and that is how tones are useful. Tones allow for lots of variety in words and meaning, which gives a unique aspect to languages that use them. Since language is an important part of who we are, finding out how and why sound changes is interesting, and this gives an understanding into just one part of language.